Welcome to the Meadow Creek Community Cemetery web site. The cemetery is located on the mountain above the Meadow Creek Baptist Church at Meadow Creek, West Virginia. 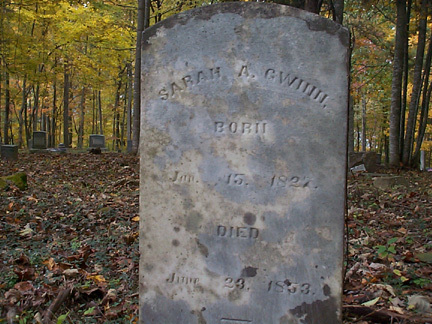 The oldest known burial in the cemetery is that of Sarah Gwinn who died in 1853. There are many unknown graves with only stones placed for markers and could very well be older than 1853. The purpose of the Meadow Creek Community Cemetery Organization is the perpetual care and maintanance of the cemetery. From past donations we have been able to clear the entire cemetery and wish to continue this care with your help. Thank you for supporting the cemetery upkeep!